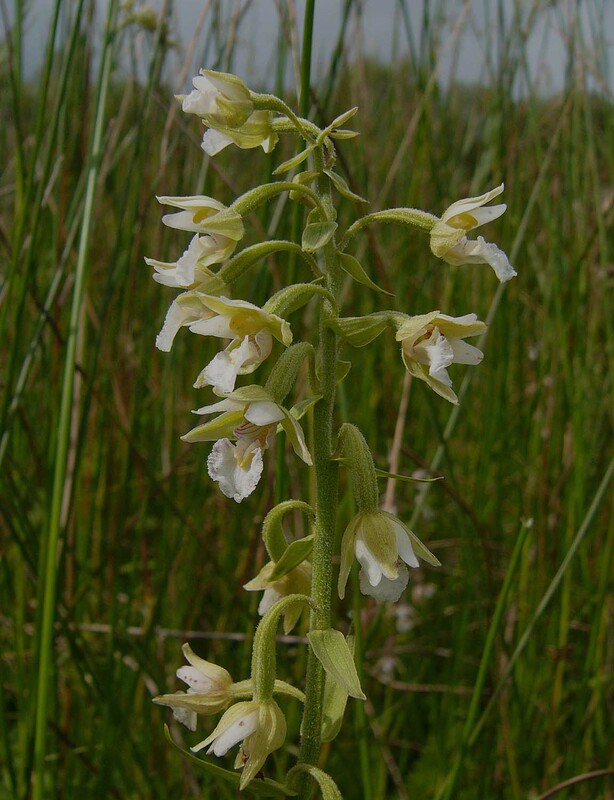 E. palustris was first described from Belgium by Crantz in 1753 and its name (palustris) refers to its usual choice of a wet marshy habitat. 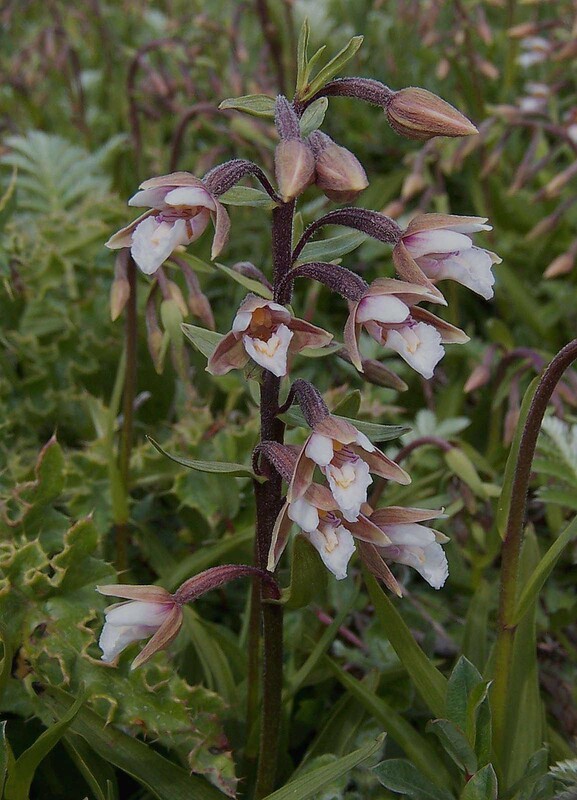 This preference is reflected in the species unsurprising common name - Marsh Helleborine. 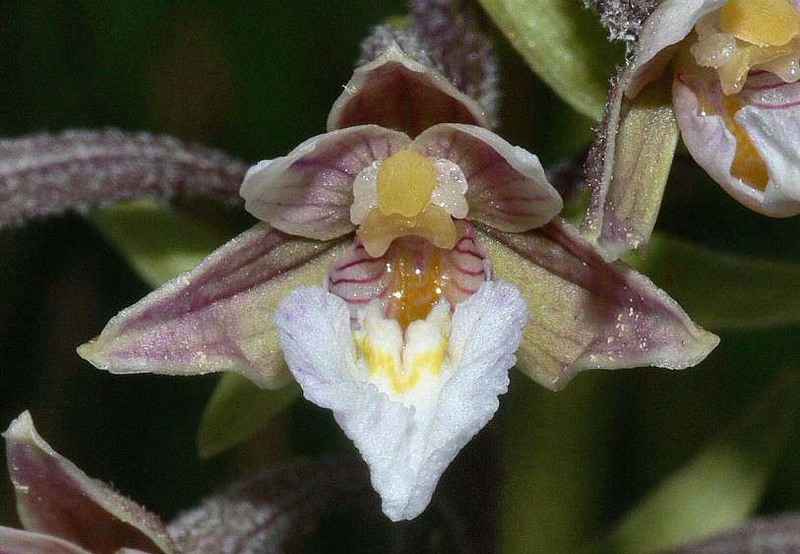 This is a species with a huge distribution across temperate Europe and Asia from Britain and Scandinavia in the west to Siberia in the East. 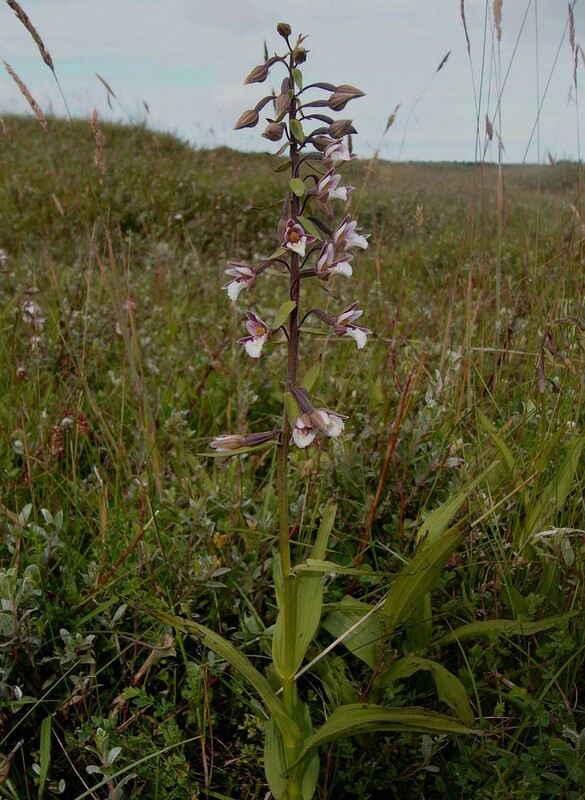 It can grow in dense colonies, particularly in the damp, alkaline conditions it prefers such as dune slacks and base rich fens. 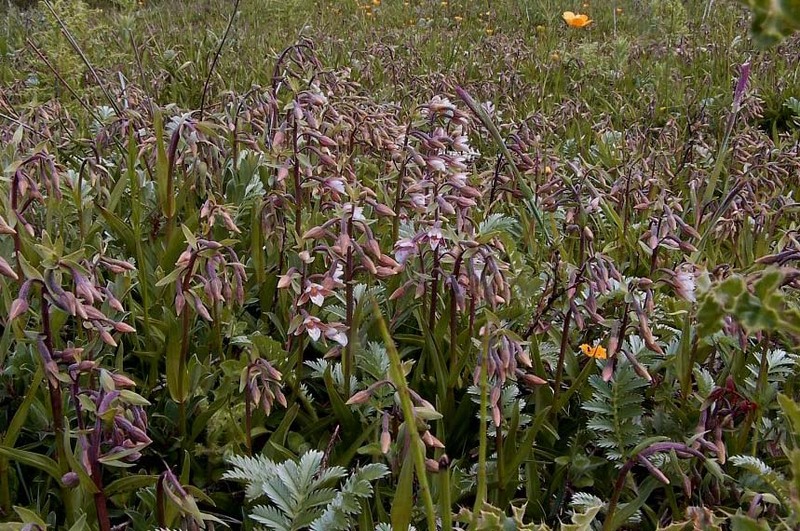 E. palustris is not however restricted to calcareous soils and although usually in smaller numbers, seems perfectly capable of thriving not just in neutral conditions but also in moderately acid ones. 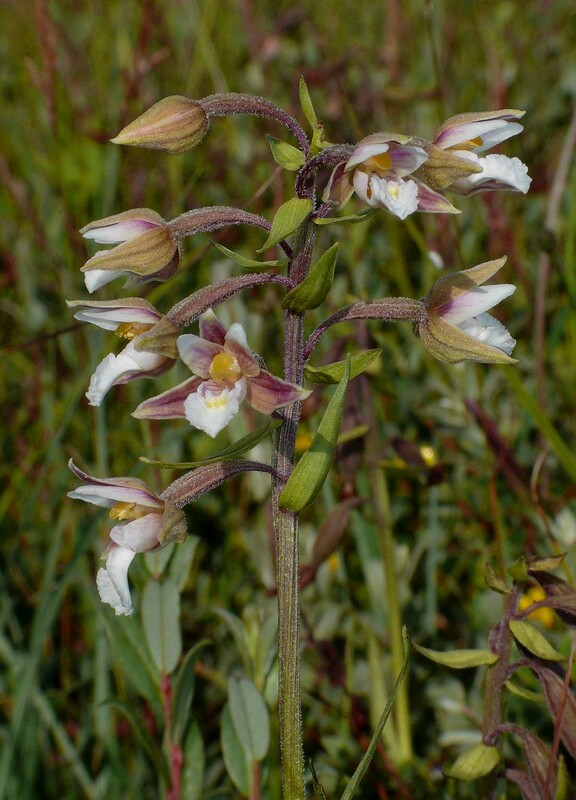 An example of this occurs in Dorset, Southern England where it can be found growing on wet lowland heath in close proximity to the strictly acid loving Hammarbya paludosa. 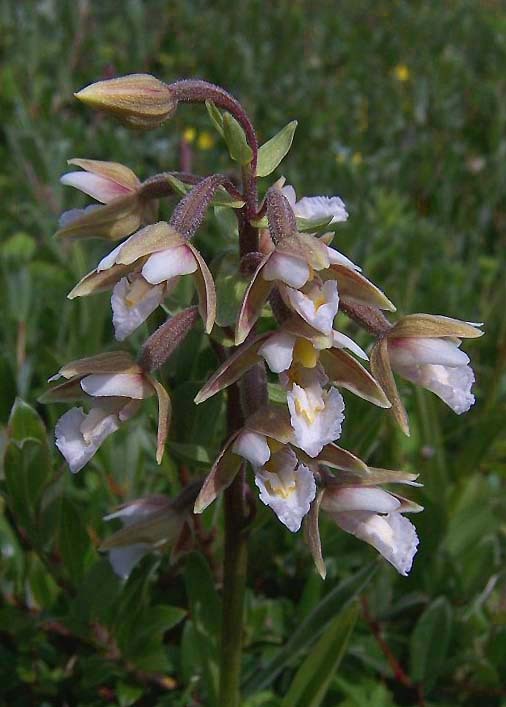 Unlike many of the members of the Epipactis genus, E. palustris does not seek out shade and indeed will not flourish if surrounding vegetation gets too rank or high. 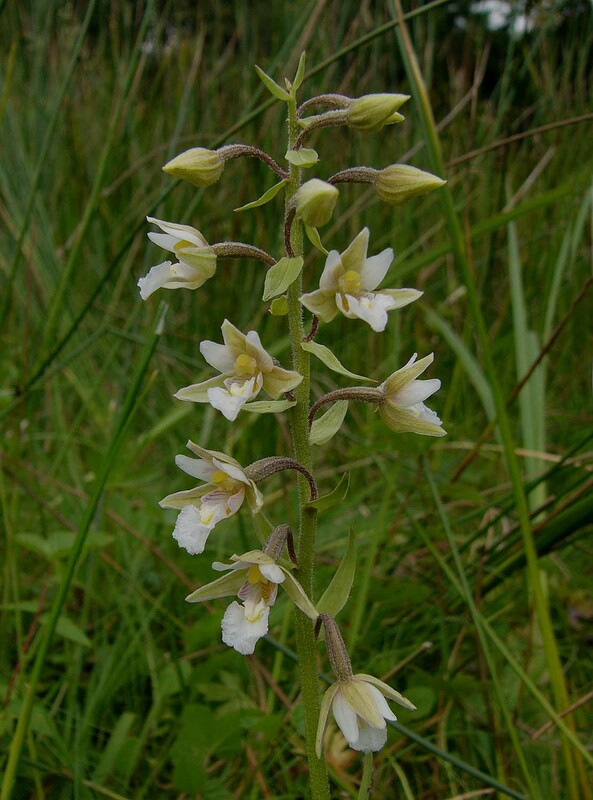 Although its roots require an uninterrupted supply of moisture, the visible parts of the plant seek full sun and this accounts for its total suitability to life in the wet slacks of large dune systems. 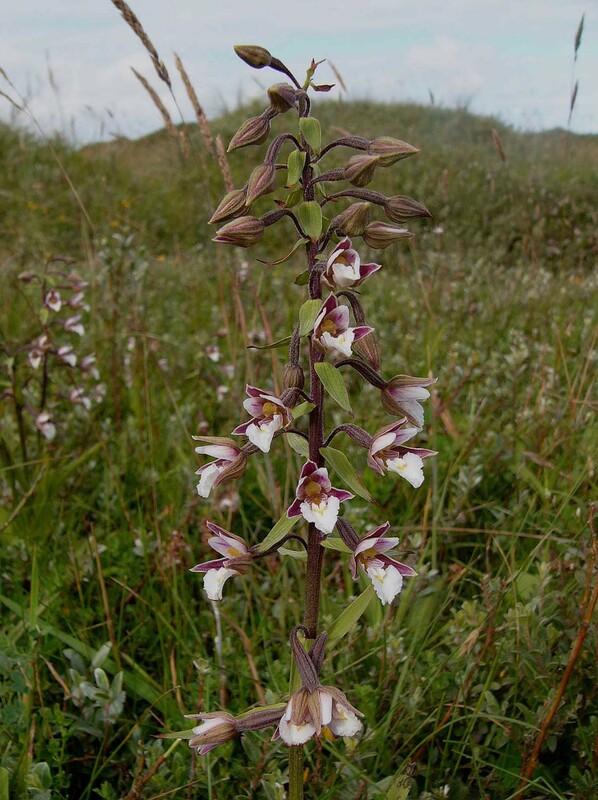 It is not however a deep rooted orchid and in fact has only a shallow root system which is well suited to vegetative reproduction in wet ground. 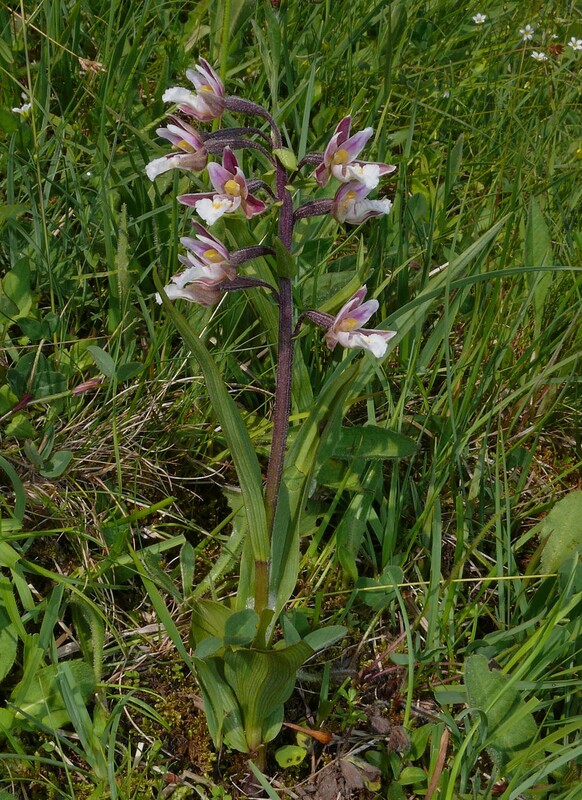 These shallow roots also maintain the plants nutrient supply by staying clear of the deeper and poorly oxygenated permanent water level. 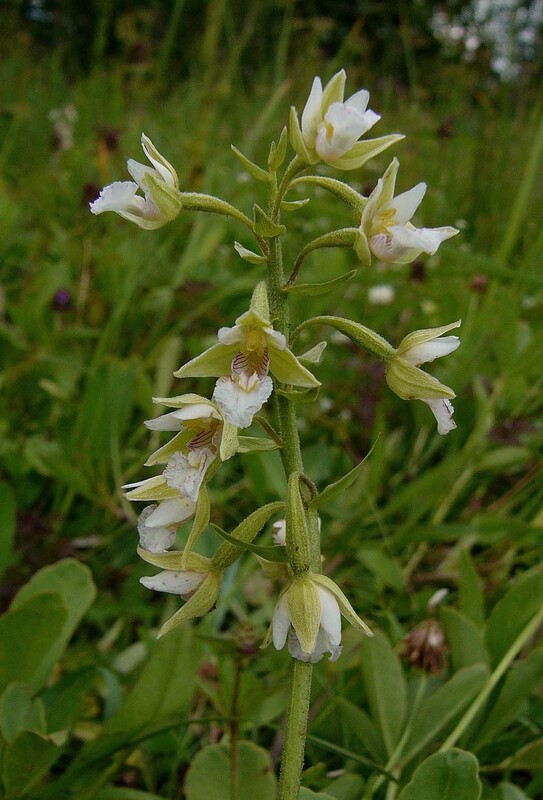 This is not a particularly variable species but forms with reduced dark pigmentation are common (see pics 9 to 11) and where it is absent altogether is described as var ochroleuca.